Galaxy Digital is a mobile-friendly volunteer management software for nonprofits, corporations, and schools. It is designed to recruit, manage, track, and report on volunteerism with ease. I liked how patient and understanding they were with me learning the site. I was on maternity leave for 12 weeks and needed a refresher course when I got back to work. The conversation really helped me to understand all the changes that had happened.They also rescheduled after I had a mishap with my phone. It was very nice of them to do so. The time difference in scheduling the call initially (I was finally sent a calendar invite), I was just receiving generic "remember to contact us" emails that were backlogged because of my maternity leave but other than that nothing. Single sign on option at a better rate for Universities, this would help us to keep better track of what our students are actually doing and enable us to do a better Return on Investment answers. That there is a new forms "how-to" section that is easier than before. I also was educated about the new text-messaging features. We also discussed best practices on scheduling events vs needs. I also got great feedback on how I was managing my site and that made me feel like I knew what I was doing. "Lifesaver for a one person leadership/volunteerism office"
The ability to electronically track and verify volunteers hours has increased the accuracy and effectiveness of data tracking while freeing up time to focus on other essential projects in the office. I had issues with reporting at first, but after a conversation with technical support we were able to create custom reports to meet our needs. Talk to your Galaxy Digital Rep, Request demo's, ask for both faculty and staff buy-in (if your in higher education), and create a marketing plan and training program for campus constutuents that expemplifes the ease of using this platform! P.S. Do not be afraid to use the support email - they are quick and extremely helpful! It also allows us to more quickly and easily discover, connect, and track the activity of agencies and users. Prior to using this platform it was impossible to accurately track volunteer data (we were still using paper logs). It simplifies the verification of service hours completed. And it allows us to connect more students/users with the needs in our community. What Volunteer Management solution do you use? I like that that potential volunteers are able to easily see what opportunities are available and that we have an efficient way to communicate with our volunteer base. Updates and changes are easy to make. check in process more efficient than using a web based portal. We would also like a way to add volunteer contributions for people who will not use web based programs. We have many older volunteers who will not create accounts. Because we use Galaxy to track volunteer time accrued across our organization, we would like to be able to account for individuals that are not registered users. It would be helpful if there was a way to add a volunteer profile without an email address, as many are reluctant to provide us with one. We have had a huge increase in the number of individuals that have chosen to volunteer with our organization. The Galaxy platform makes it easy for volunteers to learn about our programs, what opportunities are available, and to quickly find something that works with their schedule and commit. On our end, the staff spends much less time fielding calls and answering questions because the majority of information volunteers need is laid out for them. It saves us time upfront and ensures more gets done on the back end! "It provides everything a volunteer management system should have, but most don't. " I like that it offers all the basic necessities and is customizable for our organization's custom needs. We are able to fully operate it without needing to contact someone to fix our problems, and our volunteers have transferred to communicating with us through the system, which was not possible before we made the switch. I would say that the only change I would make would be to have qualifications integrate a bit better. We have a service that runs our background checks for free, but it causes some extra time to make it work with galaxy digital. Test the product out, and see how you can make it adapt for your work. We were able to make minor modifications easily, and it has paid off. We did have to increase our budget, but the staff time saved is more than worth it. Also, the meaningful donor relationships that we now have time to build, is priceless. We manage our volunteers through this system, and before on our old database we still had to do all of the work. It took so much time, and our staff person only had time to manage which made no sense. Now our volunteer coordinator has time to go to sites and participate and build relationships in person. It has been amazing. "A great platform to help students connect with authentic community needs"
I appreciate the reciprocity that the system allows. As an administrator in higher ed, our goal for community engagement is always a win-win scenario and the Galaxy software allows community organizations to easily reach a large number of potential volunteers. Simultaneously, students can search for opportunities that meet specific interests of their and capture this all on a volunteer resume. I work with the service-learning side of the software a lot and think it still has plenty of room for improvement. Galaxy Digital has been great to work with, it is easy to talk with a real person and we consistently see system upgrades that address challenges we have or ideas we have presented. We are always working to capture as much community impact data as possible. Since we began working with Galaxy Digital, the number of people entering their data has increased exponentially. "Consistent service and solid customer support"
The product is geared toward our business and how we do it. Their customer support is super fast and their online videos and user guides help me 24/7. The cost is reasonable and this product is crucial to our business of matching volunteers with agencies. We have been with them for over 5 years and I can't think of anything we dislike. It truly is the software that allows us to appear much bigger than we are. We have a very small staff but the Galaxy Digital software is so automated and the user support is so good that it makes it easy for us. When we began over 5 years ago, their staff was so supportive and helped us with all the details from the colors to match our logo to inserting pictures that help the software be branded to us. Giving us a tool that easily helps volunteers engage while also allowing our agencies to be at the forefront. This product allows Volunteer McKinney to be the connector for our community. "Decent features that won't break the bank!" I really appreciate the variety of management and reporting options available. I also appreciate many of the included services that were additional cost with our previous solution. There is limited customization in the product, however, the staff does encourage product enhancement suggestions and implements new features regularly. That said, I'd really like to see an option to pay for specific enhancements. This is a great solution that provides considerable flexibility considering its price point. If you don't have extremely customized needs, or are able to adapt your needs to fit what Galaxy Digital offers, then this product is definitely worth serious consideration. It has already provided increased flexibility over our previous product and is allowing us to consider new ways to approach our community work as a result. "Simple yet lots of capability"
I like that in a matter of a few hours, we were able to have a platform that could serve many non-profits and connect them to volunteers looking to serve. I'd really like to see this in an app platform to create easier use in the community. We are finding that even though the program is responsive, a simpler app format would be more user-friendly to bring new users. We are finding engagement with the software less exciting than we had anticipated. This is a great tool as part of a volunteer engagement piece for a community or school, to also be inclusive of businesses and beyond. However, to get maximum value, the platform must be continually promoted to the users on both ends. Its not effective if no one is using it. The capabilities of the software are many, more than we have touched on just yet. The fact that Galaxy Didgital continues to seek improvements and offer solid support makes them a gret choice for us. We are working to fill gaps within our community of connecting volunteers to opportunities. As for in house-needs, the latest update with the scheduling makes calendar much less burdensome, thus saving time, and it is more teachable. The Get Connected platform on Galaxy Digital has many awesome features to help volunteers find opportunities. We love the survey feature, the blogs, and customization options. There are weird work arounds for certain actions that you can do on most platforms nowadays. The custom web pages and blog posts aren't as easy to create and edit as we would like. We also surveyed the state of Wisconsin and found many people are confused about many of the features, especially Public Impact pages, Custom Forms, and Initiatives. Get Connected is a great volunteer matching platform. We are able to import data from other volunteer centers in the state and get a better picture of the scope of volunteering in Wisconsin. It is very easy for volunteers to find the opportunities they want to volunteer for. This resource makes it easy for members of our community to find volunteer opportunities that fit their passions. The opportunity to find something based on location, passion, activity, organization, etc., makes it that much more likely that someone may begin a volunteering position. If it's successful from the start, it's more likely to stick. This software helps ease that process. The email marketing capability, or lack thereof. I'm sad I don't have more access into the reports, and sad I don't have much of a chance to edit, align, etc. The editing options are dismal. We have just started a more comprehensive email marketing strategy with our users. This has opened up communication with some 5,000 people that were previously not hearing from us, as we weren't leveraging it. Through emailing them the open opportunities, events, and other marketing material, we are establishing a better relationship with them and causing them to interact more... not only with us, but with our nonprofit community. I can attribute the email feature to the success of an online publication we distribute, receiving 6,000+ views so far over the past month. "Galaxy Digital is the most user-friendly software!" There is nothing I can think of that I dislike about using Community Connect. Do it! It's life-changing because it's not overly expensive. The set up is very easy. The Galaxy Digital staff is with you until you feel you have everything under control. They will check in from time to time, which is amazing. Their help center, Freshdesk, has so many UPDATED articles that are extremely helpful. The amount of perks does not compare to any other volunteer management program at the price that is offered. It's an opportunity that shouldn't get passed up. The reporting - saves me 8 hours a week! All the reports I need are just compiled for me and super organized. The ability to analyze our data and improve on areas like opportunities posted, recognizing our frequent volunteers and more is a great tool. Does not have opportunity to limit cancellations. We get last minute cancellations frequently and having the opportunity to put a deadline on cancellations deters a lot of people since they'd have to reach out to us to cancel. Consider what you are looking for in terms of volunteer management. If you need a tool that allows you to accurately report volunteers hours and manage volunteer engagement, this is it. We have about 8,000 - 10,000 volunteer hours logged each year and this really helps us offer the community much more! Accuracy of volunteer hours, saving staff time on logging hours, showing volunteers their impact, ease of communication, branding opportunities. "I like a lot of features, but the software has some room for improvement...especially for colleges." I really like the initiative feature. It has helped with our large scale service projects. I like how I am able to partner with our local united way to post volunteer opportunities. I would like to give specific groups access to the reports. We have a lot of student organization who are required to report hours through this system. I have to email multiple organizations their reports rather than a point person from their organization who can pull the report at any time. It would also be helpful if I there were different levels of administrative access. I would want to give a person specific reports, but not access to approving hours, etc. I wish I could import individual service hours with data rather (including agency, etc) rather than just having it listed as individual hours. I would also like students to use the volunteer feature. A lot of the hours reported are individual hours rather than signing up and reporting service through needs in the system. We are able to now accurately measure the impact students, faculty, and staff are making in the community. It was always an estimate, and now it is an actual representation. "I am still a new user, so I'm getting the hang of it, so far so good." I think Galaxy Digital its pretty, I think our volunteers like that instead of just seeing words. I think the volunteers like having more access to their dashboard, especially creating teams, although it hinders our reporting, I think they like that they can so who has registered from their team. I don't like that the pages refresh every time you click on a name, number, or edit , then you have scroll back to where you were. I dislike that I don't have control over creating teams, if I turn it off, then I'm not able to create a team. Its a great attribute for us, but when volunteers create their teams, they leave out important information that we are collecting like user groups. Galaxy Digital is more user friendly for our volunteers. It looks better than other programs we've had. The benefit of having GD is that volunteers now have more control, they can verify their hours without calling us and register groups. "Great potential; execution often challenging"
Lately, I appreciate how Galaxy has extended the volunteerism capabilities. I often use "needs," "responses," "hours," and "users" to organize the back end of our site. I am now moving some of our more complicated projects to initiatives from advanced events, and I appreciate how the initiatives feature is integrated with other aspects of the site. Using Galaxy often feels like using a bunch of building blocks but coming up with the design myself. I do a lot of trouble-shooting for groups on campus because the system isn't self-explanatory. There are a number of tools in the system that aren't well-integrated with each other. I really can't exaggerate how many hours I spend a week trouble-shooting Galaxy-related challenges for various programs and groups on campus. It's an accidental primary function of my job. A great tool if you have patience. We are better able to track service hours for student groups and individual students. We have moved service hour reporting away from paper forms and online, thanks to Galaxy. We are able to easily connect nonprofits and local agencies with willing volunteers. "Community Connect Site Manager Experience"
The responsiveness of the support team, especially after purchasing. I am able to send as many questions as I need and receive an answer or follow up questions within 24 business hours almost always. The support team is always willing to work with me and find solutions that match the individual needs I have. Limited reporting features available. Even though the reporting screen looks thorough, I was unable to find the very simple reports I needed. I had to have those reports built as custom reports even though they seemed like reports that should be standard for all community connect platforms. Make sure to fully review all of the reporting functions to make sure they work for you. At first glance, I saw a TON of reports but after looking into it more the very simple reports I wanted, were not available unless custom built. I am a volunteer coordinator for a nonprofit and am using Galaxy Digital as my volunteer software. I not only manager my organization's site as an administrator but I also act as a site manager for our parent organization as well. This is the first volunteer management software we've had as an agency so this is the first time we have seen all of our volunteer hours and counts easily in one place. The Community Connect platform has also given us very easy volunteer recruitment strategies for positions we never thought to ask of volunteers. I love the freedom of setting up our programs and opportunities in our own words, using pictures and links to better explain our mission and values in a quick real time snapshot. It's easy for our volunteers to sign up and engage in our activities! The kiosk is a huge help. The support team is fantastic with getting back to me with my questions and concerns very quickly! it's difficult to maneuver at first. This isn't the fault of Galaxy Digital, because the more I made mistakes, the more I learned about the software. Finding the best "type" of volunteer for each group, whether it be a team or a user group was a little challenging initially. Finally, after just 2 months, we are much more capable! It's much easier to group our volunteer initiatives in the programs. Each of our programs have different funding and require their own volunteer base. Galaxy Digital makes it extremely easy to bundle hours of service by program. "New to the product "
I like that as a site manager, I am able to see all of the registrations of our students. Sometimes it is hard to get students to buy in to tracking their hours on the software. I wish it would talk with our Student Involvement platform and they could just record things once. If you are on a college campus, talk with faculty about how they will use the product. Make sure that you have buy in from them and other members of your campus. We had a phone call with Galaxy a few weeks ago and asked questions about deleting accounts for users that have multiple and how to reactivate needs. "Galaxy Digital at a Film Festival"
One of the best parts of Galaxy is the availability of online training on the software for new staff. We often have a very short amount of time to get new staff acquainted to our system and the ability for them to learn at their own pace paired with Galaxy's excellent response time to specific questions is really wonderful. Having an app would be wonderful, and our volunteers have really been pushing for one. One of the other issues is that our needs are geared towards a once a year, big, complex event, as opposed to year round, and not all of the systems are optimized for this type of workflow (my fingers are crossed for a festival module one day!). Again, the biggest issue being resolved is the ability to more quickly onboard staff on the software without having to personally walk them through it. User friendly, easy to set up and use. Galaxy Digital is a phenomenal product. It's easy to use, customer service is quick and knowledgeable, there are many resources to help you learn the product, it's user-friendly, and the company overall, has a 'small business' feel to it. A complain I routinely have with other companies is that no one has time to answer questions, when a ticket is opened it can take up to 3 days for other companies to get back to you. Galaxy is just the opposite. Any time I've had a question on features or where to find reports I have always had someone contact me the same day (usually within the hour), I feel like I'm their #1 priority. Prior to making the decision to use Galaxy Digital, I received a personal call to talk with a specialist to discuss how we wanted to use GD and what benefit we were hoping for; after the call I received follow up emails and calls making sure I had all of the information I needed. Once we agreed to using GD, I was able to have someone available to me for questions, concerns and more. The process was swift, and super easy! I cannot recommend Galaxy enough to anyone who may still be in the 'dark ages' of volunteer management! GD helps us manage our volunteers efficiently, keeps volunteers connected on a regular basis without feeling overwhelmed and allows us to partner with other entities in our community to assist with their volunteer needs as well. "We like Galaxy Digital for it's user friendly look for recruitment." I like the user friendly sign up process and the look of the recruiting tools. I also like the automatic responses, reminders and thank yous. On line waivers are also a plus. Galaxy Digital provides excellent training and support. They are open to new ideas from users. Keeping track of hours per volunteer would be helpful. It keeps track of hours per program, but it doesn't count the no. of non duplicated volunteers. I think Galaxy Digital does a great job of sharing what their product can do for you. They also provide training and superior support. They seem willing to implement and accept new ideas from their users, when possible. We would like to do less paper. We are currently working on getting kiosks to check in our volunteers. Since people are able to "FAN" a program, we can immediately let them know of new opportunities in the chosen program. We would really like to have online waivers be available at the check in stage, also. I heard you were working on possibly doing this. The versatility of the website and the outstanding customer service along with the ease of use for both the administrator and the user. Can't change the duration of a serving opportunity once it has been saved. This software and the staff have been wonderful to work with! Their response time when we have questions phenomenal! Our church, which consists of 4 campuses, has both "In the Church" and "In the Community" serving opportunities. Because of the versatility of the site and the willingness of the staff to make adjustments to fit individual organizational needs and to share what other organizations have done we have been able to build a robust serving site. In the first 3 weeks of use, we saw a 200% increase in responses to serving opportunities. Connecting our church members to serving opportunities in the Church and in the community. This software is very robust and allows us to connect with volunteers in various ways along with making it easier for our volunteers to connect to serving opportunities of all kinds. "Great Team and Amazing Customer Service"
I love that the Get Connected Team is responsive, and provides the best service for all questions and needs. I have yet to have an issue with Galaxy. They take in suggestions, and even make calls to ask about what we'd like to see happen with the software. If you are looking to work with an organization that works towards improvement, seeks your input, and strives to make the software work for you, Galaxy is for you! We are able to connect our students to so any opportunities across our region, and we are happy that they are connecting to needs that are mutually beneficial. Organizations are able to post, review, and approve hours in real-time, allowing for current needs to be addressed by out university community. "Fast, thorough response team for a solid product." The staff that supports Galaxy Digital is very responsive and knowledgeable. In addition to addressing my questions/ concerns quickly and thoroughly, they always follow up to make sure everything is going well. Although new updates have helped tremendously, I still get comments from our users that the system is not user friendly. I think there is a good deal of improvement that can be done with the reporting capabilities. So much easier for me to keep track of my volunteers and communicate with them. "Great product, needs clarity and interface development"
I can bring all my opportunities to the site, immediately piped into the homes and phones of any of our people. Great way to increase awareness, catch sign-ups, gauge responses, and coordinate teams. Unclear structure and organization at times. Searching needs is clunky; lack of a google-like search bar right up front hurts. Our people have expressed confusion or malaise about searching it. On our staff team's side, they have some trouble navigating the back end, finding pages / access points quickly, returning to conversations / connections, etc. Start by working to understand Galaxy's organizational philosophy and approach. Then progress to methodically understanding and clarifying your own organization of needs/agencies/etc. Consult with Galaxy before creating all your categories and organization. Then finally, create and flesh it out. Solving the problem of awareness and sign-ups. Benefit of quick communication and response. The ease of using the site is awesome! If there are ever any problems or questions about using it the support staff is very quick to address them. All of our agencies have taken over running their sites and are doing a great job with it because of the ease of use and helps. Thank you Galaxy Digital! Not being able to easily get my volunteers to log their own hours, any tips? We are just now starting to work with our biggest business supporter in having a SSO on our site. We are very excited about this new engagement opportunity! We have had Galaxy Digiital Get Connected for many years. I almost forgot that we changed products because we were using a great product with many bells and whistles but our agencies found it difficult to use. I beleive that we were the first to use the product in WIsconsin. now all of our partners use the same platform. That speaks for itself! Occasionally when a new feature is added something else changes. I do not like things taken away from me. I wish the agencies could do more with pictures on their pages, It is a great fature at the bottom but not every reader gets that far. I love the check in feature. Slick! Easy to use. You can tell it is built for coordinating volunteers -- guides you through each step of use. It's a little confusing for the program managers the very first time they log in to create their account and then their page. This could be more clear on the initial login page. Try it! It is a product geared toward all things volunteer! Galaxy Digital allows us to connect our non-profits and our volunteers in a way we would NEVER have been able to! Volunteers can reach out to individual programs or specific interests very easily. I like how intuitive the site is. Easy to learn and use. Also, I think it is easy for employees to comprehend. I wish there was more leeway on how to set up opportunities. Some opportunities we offer are very unique and require multiple steps. Benefits: It allows us to track our volunteering hours, which was a huge goal for us this year. Also, it has given us insight on what opportunities people like/dislike. We use Galaxy Digital for our university student/staff/faculty volunteer portal needs. It is, for the most part, user friendly and easy to navigate. Since our university has made community engagement a core priority, our faculty uses the portal extensively for service learning requirements. From a manager standpoint, it can be difficult to extract historical data from the portal. When trying to determine the number of volunteer users and the hours they contributed, we often would get inconsistent numbers. From a user standpoint, it is a HUGE disadvantage that there is not a mobile app for the portal. Our athletes are required to contribute a lot of volunteer hours, but they will not use the Galaxy Digital portal because they like the flexibility and convenience of a mobile app (they use another option). I recommend Galaxy Digital because it is user friendly and it offers excellent customer support. We work with nonprofit agencies that depend heavily on volunteer support. The platform Galaxy Digital provides is a vital link between our community partners and our university students that are seeking to serve as volunteers. Student and staff volunteer hours translate into an economic impact of thousands of dollars for our nonprofit agencies. "As a small nonprofit, Galaxy Digital is exactly what we needed to hit the ground running. " What I like best about Galaxy Digital is the opportunity it give us to engage with volunteers in a systematic way. Whether that means keeping them up to date on the lasted need in our organization or sending out reminders for an upcoming training, our communication efforts have doubled in effectiveness. What this means for us is more volunteer participation, and therefore more chances to work toward our ongoing mission. The shortcomings of the system for us has been it's inability to customize in the way we need. While Galaxy is very customizable, we have very specific needs as an organization and not all of those have unfortunately not been met. One big problem we face as an organization is communication with our volunteers. Galaxy has helped us with this tremendously with all the different communication options. Another issue we have faced in the past was keeping up with all the different needs we have across the organization and with our clients. In the same way, Galaxy has helped us solve this problem by allowing us to have a place to keep track of these needs, to update them frequently, and to alert volunteers when new ones are added. This has made all the difference in our volunteer community. "Excellent tech support; Saves a lot of admin time"
The ability of groups to schedule themselves and manage their volunteer sign-ups is great and has saved us lots of admin time. Also fantastic and super responsive tech support. The site templates are clean and generally well structured. Nice variety of canned reports. Lack of ability to customize by program or even by shift, e.g. notifications are all site-wide. Also difficult to manage/maintain user groups for tracking of hours, etc. and hard to view some relevant team info such as which shift a team has responded to. As mentioned previously, the main problem was the admin time of managing groups. Tons of emails and phone calls back and forth to get space reserved and manage sign ups, etc. We've saved about a quarter to a third of the time we were spending on volunteer management, which allows us to devote more time to our skilled volunteer program, among other things. Simplicity for serving opportunities and the price. It does not have all of our features, but they are listening and putting them in as they can. Galaxy Digital is a leader in my opinion. They provide one of the best solutions for volunteer management and have a staff that listens to its customers. They are alway learning and I feel that the product is the best out there. The team will get you up and running quickly and they are able to adjust based on your request and need. This company values customer service and strives to equip users with the best possible solution. We are looking to open new doors for service in our church. GD is helping us with getting the word out, as well as tracking those opportunities. "Easy online platform for recruiting and managing volunteers"
The platform is easy to use, needs are set up quickly, and responses come straight to my email. I always know when I have a new volunteer ready. I wish there was a way to distinguish between those who have responded to a need and those who are actively engaged in serving the need. Some people respond and never actually engage. "Great place to get started for Community Volunteering"
The software has made it simple to decentralize our volunteer efforts. Our corporate volunteers are able to view and engage with the opportunities they like, without having to wait on our staff to get back with them. The interface is simple and easy to understand. Registering teams of volunteers is still a bit clunky. It is improving and will continue to be the backbone for our Days of Caring efforts. The best tool that I have seen for this type of work, easy to export information and change direction when needed. Possibility - Our old Excel method of tracking volunteers had bottle necked. We couldn't get any bigger and we couldn't manage the volunteers we had. This method allows for smoother registration, check-in and tracking. The functionality of having volunteers check themselves in and out is a huge asset to us wanting to continue our partnership with Galaxy. The thing I dislike about the product is if a volunteer forgets to check out, the system will put in the hours that were registered for the opportunity. For example, I have a volunteer that comes at 1pm for a 4pm shift and because he forgets to check out at 6pm, often, the system only logs it as 2 hours and not the 5 hours he actually did work. The main business problem we are solving with Galaxy Digital is the ability to track volunteer hours and have proof for Grant Writing purposes. I really love that Get Connected allows our partners - individual volunteers, corporations and nonprofit organizations - numerous ways to engage with us via volunteerism. It's easy to use and looks great. We have been able to engage more individuals in volunteerism than ever before, and we're able to offer our nonprofit partners a valuable, free volunteer management resource. "Get Connected Does the Job"
ease of use and speedy support replies. We use Get Connected to manage a community hub of volunteering. The ease of use for administrator, manager, and volunteer has been the biggest plus for us. No more training sessions with exasperated organization staff. My troubleshooting to-do list has practically disappeared! "Software that makes my job easier!" I love that the community organizations can create their own account and update volunteer opportunities as needed. The on-boarding process for the organizations can be challenging at times, but not impossible. I can direct our students to the website instead of having to sit down, call organizations to find out if they have any opportunities, play middle-man between the two, etc. The students can respond to any needs that are available and speak directly with the organizations. It saves time and allows for more needs to be filled. "They offer a great product and excellent customer care. " Beyond the user friendly experience that allows us to connect students, faculty and staff to community sourced needs; they offer excellent customer care. No major dislikes. A few small ongoing issues with the platform, however, Galaxy has always been willing to listen to those concerns and continue to work on updates as possible. Get Connected has allowed us to better serve our community partners and volunteers to assure that community needs are being met, while giving us better, clearer data from which to develop and support programming. "Galaxy Digital's Software changed our Community"
Galaxy Digital's Get Connected software is so easy to use. Whenever I have a question, I can usually find the answer in their online help guide. Also, their customer service responds to other questions really quickly. The initiatives module makes planning large scale events and group-specific events a really easy and simple process. The default notifications can be overwhelming for agency managers. Also, sometimes, important volunteer notifications can get caught in some companies' high security email systems. Galaxy Digital's Get Connected software has allowed our organization to offer a central volunteer hub for our county, which has not existed before. 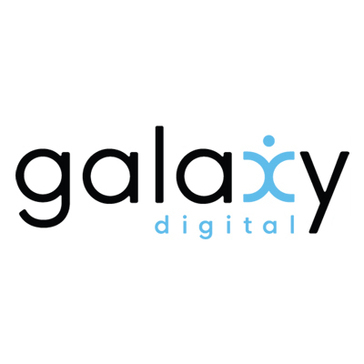 "Fantastic experience working with Galaxy Digital"
"Must-have tool to create one-stop shop for volunteer opportunites!" This tool allows multiple agencies to advertise volunteer opportunities in one spot. Prospective volunteers can create custom profiles and get notified as new opportunities are added that fit their areas of interest. There's very little to dislike! It has a wide breadth of functionality -- from volunteer opportunity postings to event shift sign up and check in to volunteer hour tracking and reporting -- it does it all! It's been a wonderful tool to help us connect agencies to volunteers and volunteers to their passions! It's also helpful for volunteers to track their hours electronically vs paper forms. David works with me at my pace. I have several months before targeted completion. We talk every few weeks and he advises me on what to do next. Nothing! So far, everything exceeds my expectations. Ability to assign Project Managers who can update specific sections. "Galaxy Digital Platform Connects the Community"
This platform is very user friendly, for both volunteers and site managers. It is a great tool to connect the community to volunteer opportunities and events. Anything I've had a problem with is quickly resolved, so I can't think of anything I dislike about the product. The products is great. The support is fantastic! We use the platform to allow nonprofit organizations to post volunteer opportunities/events so that the public can browse and sign up for appropriate service activities. I like being able to post a need or an event, and know that it will be reviewed and can be responded to by agencies and users. One stop shop for volunteers seeking opportunities. Galaxy customer service and support. The learning curve.Very minor dislikes. Volunteer data and agency tracking. Building better partnerships with local organizations and offering them this resource. "Great product for managing volunteer opportunities"
The program helps community partners connect with our students. I love how quickly Galaxy Digital customer support gets back to you when you submit a request. I wish there were more comprehensive reports available. Most of the nonprofits we work with report that this site saves them valuable time. We've benefited by having all of the county's volunteering opportunities in one location with great search options. I love how user friendly the site is and that volunteers can even download their volunteer resume at any time. The impact value puts into prospective what they really mean to us and that in itself is priceless. I love how modern and clean the site looks - it gives our volunteers a great first impression of their future experiences with us. I haven't really come into contact with anything I don't like yet. Our volunteers have a much easier time seeing what opportunities are available and signing up for what they can. * We monitor all Galaxy Digital reviews to prevent fraudulent reviews and keep review quality high. We do not post reviews by company employees or direct competitors. Validated reviews require the user to submit a screenshot of the product containing their user ID, in order to verify a user is an actual user of the product. Hi there! Are you looking to implement a solution like Galaxy Digital?